On Saturday March 16th Mr Belshaw, our resident ‘ultra’ runner (or madman…you decide!) 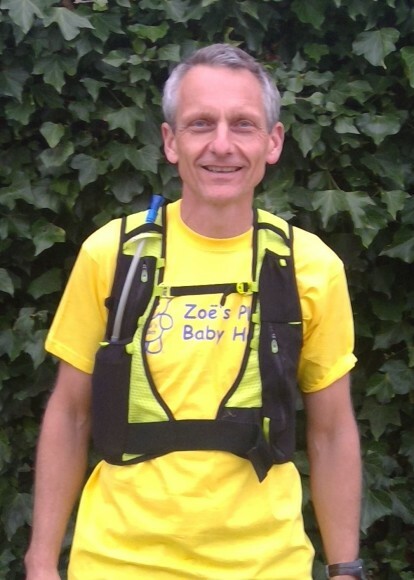 will be running the Hardmoors 55 in aid of Zoe’s Place Baby Hospice in Middlesbrough. The Hardmoors 55 is an off-road ‘ultra’ that is, logically enough, 55 miles long. It starts in Guisborough and follows the Cleveland Way to finish in Helmsley. It covers tough terrain on the North York Moors with a total height gain of about 3000m (to put that into perspective ... the equivalent of climbing the UK's largest mountain Ben Nevis from sea level more than twice!) The route goes over all the popular local summits such as Roseberry Topping (twice! ), Captain Cook's, the Wainstones, Carlton Bank, Sutton Bank (the White Horse) and many more! There is a cut-off time of 16 hours to complete the race, but Mr Belshaw hopes to finish it in approximately 12 hours. He has been training hard, running approximately 40-50 off-road miles each week including weekend long runs of between 20-30 miles distance. Mr Belshaw is hoping to raise £1000 for Zoe’s Place, which is one of our school’s official charities adopted by Aidan House. If any parent or carer wishes to support Mr Belshaw in reaching his fundraising target, his Just Giving page is available here: www.justgiving.com/fundraising/Christy-Belshaw1 Alternatively, any student can sponsor him using his paper sponsor forms in school. We wish Mr Belshaw the best of luck on the day and look forward to hearing that he survived in one piece!